Dallas, Texas — August 9, 2016 — Today, leading RFID technology and total brand identification solution provider SML RFID announced the release of seven new inlays for RFID retail supply chain management. The new inlays have been customized to fit the size, performance and requirements for inventory management of small cosmetics, poly bagged apparel and accessories. SML provides the full suite of RFID technology, including software, professional services, RFID tags and labels, and has delivered proven results for many of the world’s most successful retail RFID projects. SML works in close partnership with brand owners to develop the perfectly-sized inlay, with a good feature set and maximum read-range performance. With a network of more than 17 Service Bureau locations worldwide, SML is able to reliably deliver a wide spectrum of printed, encoded RFID tags and labels to meet brand owners’ specifications and do so close to the manufacturing source to improve speed to market for our customers. 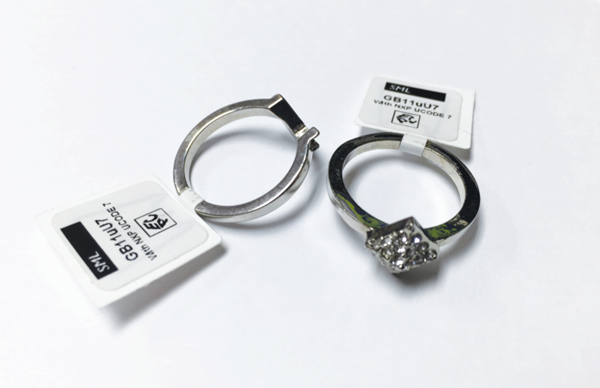 SML has released seven new RFID inlays, three RFID inlays are certified by the Auburn University RFID Lab and are in parallel with the GS1 Tagged-Item Performance Protocol “TIPP” guidelines to coordinate with different retailer categories. The other four inlays are developed for covering a variety of supply chain categories special use cases including cosmetics, wine bottles, books, furniture and apparel. GB9R6 95*8mm inlay offers great tolerance and performance on difficult-to-tag or high-detuning materials such as cardboard and plastics. This inlay passed all ARC spec categories. Maze U7, which measures 68*14mm, was upgraded for enhanced performance and meets ARC spec’s A, B, D, F, G, K, N, Q categories and coinciding GS1 TIPP grades for use throughout the supply chain. GB4MuU7 measuring 42*16mm meets ARC spec’s A, B, D, G, M, Q for tagging of multiple apparel items, and was designed as a smaller form factor to be used on apparel items ranging from denim to ladies’ undergarments. GB14R6 inlay measuring 76*6mm was designed for dense population environments, covering a variety of supply chain categories including cosmetics, wine bottles, books, furniture and apparel. GB11 series using the NXP Ucode 7 measures 14*14mm, GB6 series using the Impinj R6 and NXP Ucode 7 measures 30*15mm and GB8H4 measures 64*6mm are specifically designed to fit cosmetic products such as eye liner, lipsticks and more. The new RFID inlays will be used in all types of labels and hangtags, including SML’s multicolor, high-resolution RFID integrated hangtags. These are high-quality offset printed and digitally imprinted RFID hangtags, that can be delivered within ten business days from any of SML’s 17 globally located service bureaus, have the RFID inlay embedded inside and are produced using the highest quality off-set and digital printing and encoding processes. The inlays will be also be offered in a less expensive Flexographic and Thermal print versions. In addition to the integrated labels and hangtags, the inlays can be also used in SML’s sewn in fabric labels. SML (http://www.sml.com) is a global branding solutions provider and is the parent company of SML-RFID. As the leading full-service RFID solution provider, SML is a trusted partner to the world’s largest retailers and top fashion brands, delivering proven results and rapid ROI. SML offers a broad spectrum of certified RFID-enabled labels, tags, stickers and inlays from the largest global network of source-tagging service bureaus. SML Intelligent Inventory Solutions built the enterprise-class Clarity™ platform around best-in-class features and functionality for outstanding visibility in-store and throughout the supply chain. SML has successfully deployed RFID with many of the world’s most prominent retailers. With a presence in over 30 countries, unparalleled deployment expertise and highly trained support personnel, SML delivers on the promise of RFID to transform retail, enabling a seamless evolution to Omni channel and Retail 3.0. For more information visit the SML RFID Group website at http://www.sml-rfid.com.